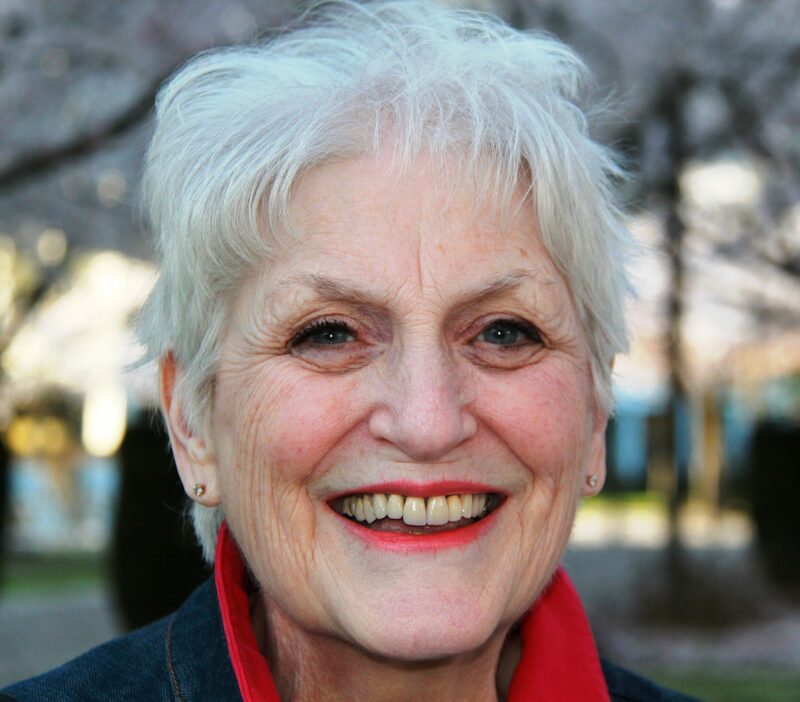 Barbara Dorothy Kellay passed away peacefully in Salem, Oregon on January 24, 2019 at the age of 83. Barbara was born in Chicago, Illinois on March 23, 1936, the first of eight children born to Dorothy and Gerald Desmond. She was raised in Chicago and in southern Michigan, and received her RN from St. Camillus School of Nursing at Borgess Hospital in Kalamazoo, Michigan in 1957. Barbara married Clyde Kellay, Jr. in 1957, and together they raised 4 children. The family moved several times from Michigan to Minnesota, North Dakota, and Alaska before finally settling in Oregon in 1984. Throughout their 61 years together they enjoyed sharing their gift of hospitality with family and friends, both old and new, hosting and visiting people from all over the U.S. and abroad. Besides caring for her own children, she showed her love for children throughout her life in many ways – as a pediatric nurse, day care provider, and a volunteer story teller and story reader at the Hatfield Marine Science Center, to name a few. Barbara had a passion for children’s literature and folk and fairy tales. She was interested in many crafts, particularly fiber arts, and was a prolific knitter. She is preceded in death by her husband, Clyde Kellay, Jr., daughter, Colleen Kellay, two of her brothers, Gerald Desmond and Brian Desmond, and many cherished friends and relatives. She is survived by her children, Kathleen, Tim, and Chris (Sopa), one grandson, two great-grandsons, four sisters, and one brother. The family suggests that donations in memory of Barbara may be made to the Fisher Center for Alzheimer’s Research Foundation (http://www.alzinfo.org), or the charity of your choice. A memorial mass will be held Saturday, February 23, 2019 at 11 a.m. at Sacred Heart – St. Louis Catholic Church, 14084 Manning Road NE, St. Louis, OR. Reception immediately following at Sacred Heart Catholic School, 515 7th Street, Gervais, OR. Interment is at Sacred Heart Cemetery in Gervais. Saturday, February 23, 2019 at 11 a.m.
14084 Manning Road NE, St. Louis, OR. 515 7th Street, Gervais, OR. Beautiful lady inside and out. She had a delightful sense of humor. My husband and I are blessed to have known her and Clyde and be their friends. We will miss her. I am saddened to hear about the passing of your mother. Barbara was a lady in the truest sense of the word. I admired her for many things. too many to mention here. Clyde and his Barbara are together again, the joy in the midst of the sadness that we all feel right now. Barbara was a great lady. We enjoyed our visits with the Kellay family when we visited with them at their home in Newport. Scott and I send our sympathy to your family during this difficult time. We both loved your parents and are thankful for the memories of their great hospitality as they opened their home to us when we visited. Rest in peace beautiful Barbara. We are praying for peace and comfort for your family. Barbara was kind, smart, wickedly funny, and gorgeous. I will miss her, but am grateful to have been part of the Kellay extended family for so many years. Thank you for trusting Johnson Funeral Home with her arrangements.